A style that saw service for a long time throughout Europe. Oakeshott Type X with Type1 pommel and Type VII crossguard. 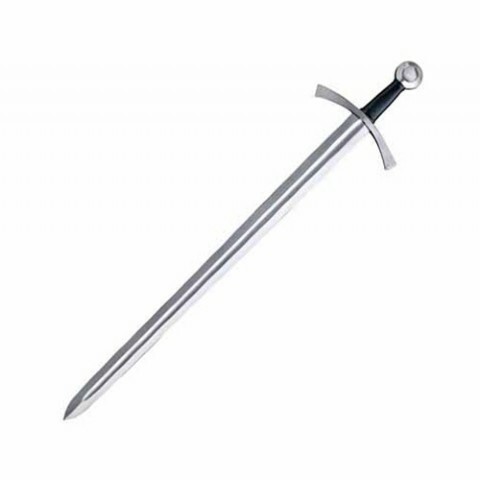 Wide steel guard offered protection from an opponent’s sword or shield. 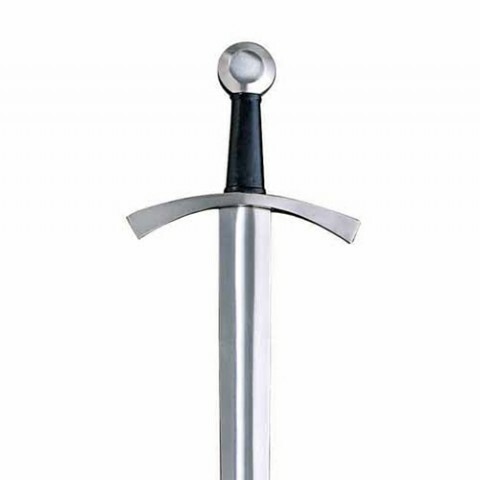 Classic wheel pommel brings the sword into nice balance. Long wide fuller lightens the sword overall. Blade 84cm x 5cm wide. Overall length 100cm. Weight 1.4kg.